Product prices and availability are accurate as of 2019-04-20 11:35:54 EDT and are subject to change. Any price and availability information displayed on http://www.amazon.com/ at the time of purchase will apply to the purchase of this product. A gripping history of Oak Island and the mystery of its "Money Pit" details the early discoveries: the shaft with its many platforms, the drainage tunnels from the ocean that fill the shaft with sea water, and the many attempts to find what the construction hides and protects. 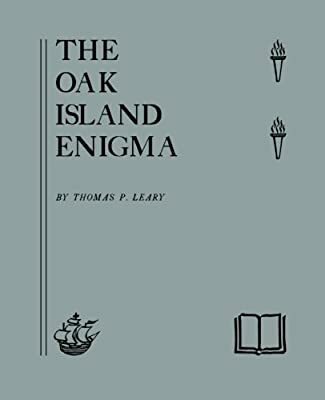 The Oak Island Enigma was the first published book to contend that the manuscripts of William Shakespeare's works, actually written by Sir Francis Bacon, are buried beneath Oak Island. This Second Edition reprints the rare, self-published 1953 First Edition.